During 1981 and 1982 a special group of musicians came together in Chicago to spread their unique blend of country, blues and rowdy honky-tonk music. These guys worked hard, partied hard, and ripped it up throughout the Midwest. They were not only a party band but also showed their stellar musicianship on their many original tunes as well as covers by the great song writers of their era. 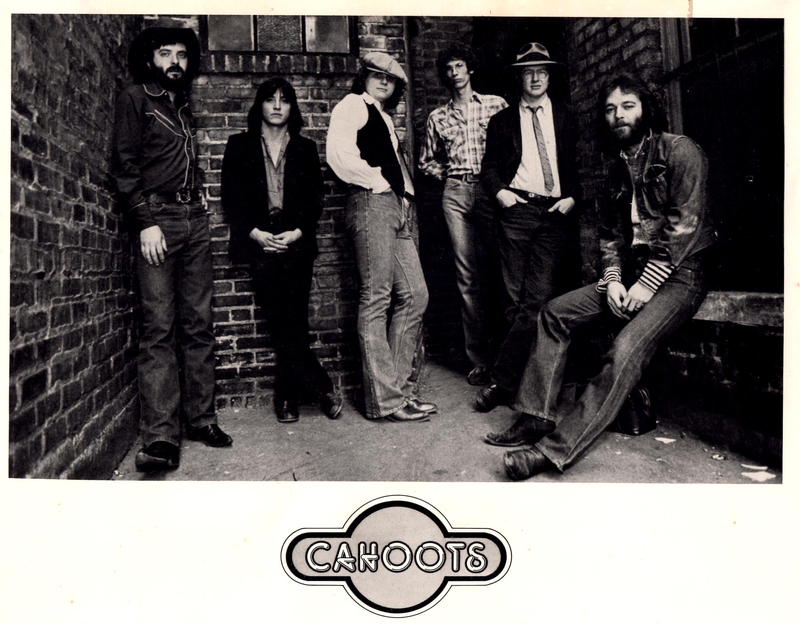 Cahoots combined some very unique talents, each with years of hard earned experience as working musicians. Real, down to earth players that cut their teeth in the trenches. They performed on stages large and small, from bright lights of big stage shows to steamy dives on the backstreets. Our free downloads this month were recorded in just one such joint on Chicago’s North side. The Phoenix was an infamous club with a five o’clock license and no shortage of vices that a big city has to offer. The Phoenix was the kind of place that could either destroy a band or as in the case of Cahoots, hone their chops and bring out their best. Performing in front of some really rowdy crowds, doing four lengthy sets a night, turning over the crowd two or three times, made for a perfect atmosphere for Cahoots to become one of the best bands in the city at the time. These tunes are taken from cassette recordings made on a typical Friday and Saturday Nights in 1982 at the Phoenix. The quality is not great but the band still shines through, so enjoy them in the spirit that they were made. I just can’t get enough of these “In my own words” Brings back wonderful memories plus a lot that I never knew. Thanks, Jimmy, keep up the good work !